Waterfall Info: From the bottom, this is the second waterfall on Dicks Creek. 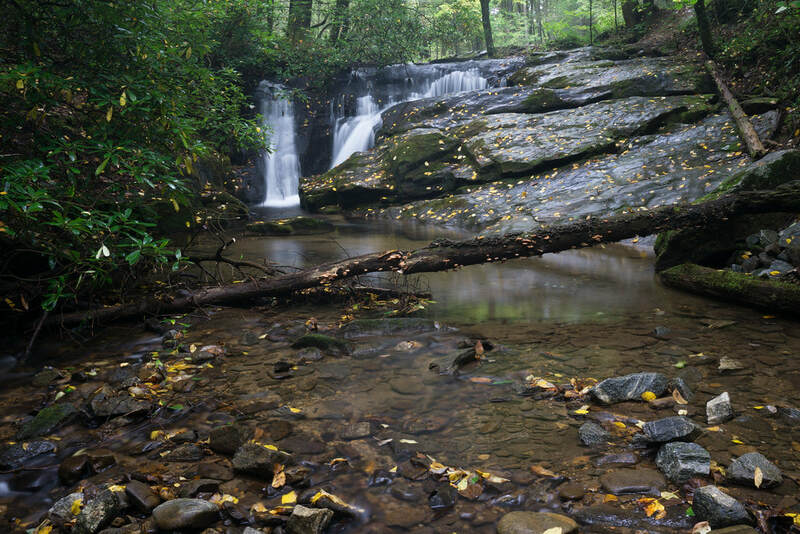 Even though this waterfall is known as the "upper" falls on the creek, there are two waterfalls upstream from this one. They are much lesser-known. Access Info: Upper Dicks Creek Falls is roadside along Dicks Creek Road (FS 34). The waterfall is visible from the road, and a short path leads to the base.